Human rights watchdog, Amnesty International, has slammed a planned reform of the Spanish criminal code, which reinstates life sentences and introduces harsher prisons terms for breaching public order. The amendments, proposed by the ruling Popular Party, are almost sure to be passed before the Spanish general election, planned for December. The bill has already passed the country’s lower house of parliament after gaining the support of 186 MPs, with 144 against. The final step is approval by the upper house, the Senate, where the conservative Popular Party also enjoys a majority. The controversial bill foresees the revision of the penal code for very serious crimes, including multiple murders and genocide, which would be punished by life in prison. The sentence can be reviewed after 25 or 35 years, with the person given a chance to receive freedom if he manages to prove the court that he has been rehabilitated. The longest prison term for serious crimes currently stands at 40 years in Spain. 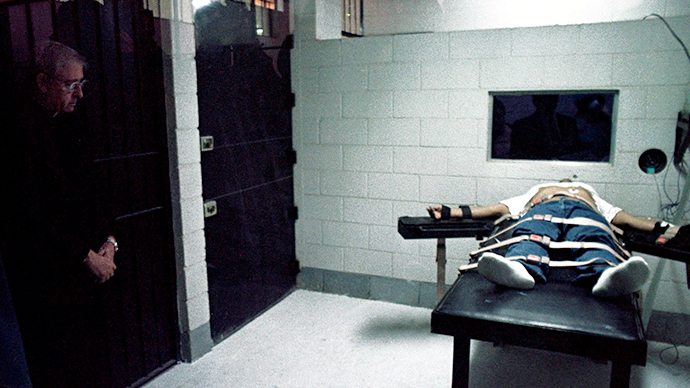 Amnesty International argued that the bill doesn’t clearly specify the way someone can prove that he or she has been rehabilitated, which opens the door for the authorities to keep people behind bars until death, AFP reports. It also ties the hands of participants of stress protests, with stiffer individual and group responsibility. Throwing a rock during a rally may carry a six-month jail sentence. Amnesty International said the bill's passing by the lower house is “a serious setback for freedom of expression and assembly” in Spain. "Due to its ambiguity, this criminal code can be applied to people who are peacefully and legitimately exercising their rights," Maria Serrano, Amnesty spokeswoman, told reporters outside of parliament after the vote. The Popular Party argues the amended legislation “improves on existing regulations” as, above all, it prevents the statute of limitations from applying to terrorist crimes.